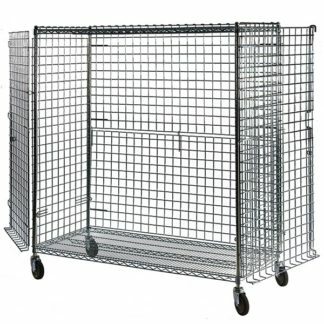 Extend your storage area with Lakeside’s add-on units! These units come with four shelves and two posts to be added onto your existing Lakeside shelving. High quality plated wire shelves and corner posts. 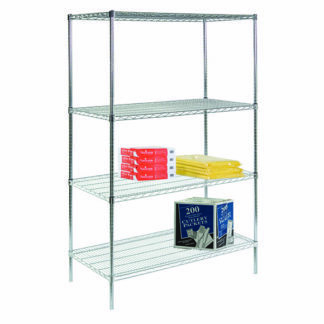 Shelves feature truss reinforced edges for exceptional durability. Posts feature groove rings in 1″ (round post) or 1-1/2″ (square post) increments providing shelf height adjustability. 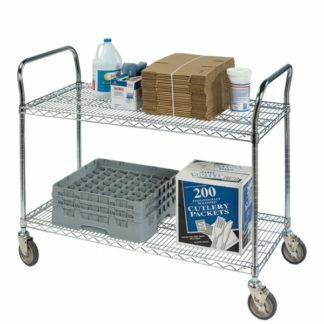 Shelving Add-On kits include four shelves, eight s-hooks to connect to existing units, and two posts, available in a wide variety of shelf sizes and post heights.